Looking for something to do June 15 th in Medina Ohio? Look no further this is it. Lowborw Customs is putting this event together and it’s going to be fun! Get out and support your local events even if you are far away!! Ride ur Bike! This entry was posted in Fun Lowbrow Customs Swap n Show. 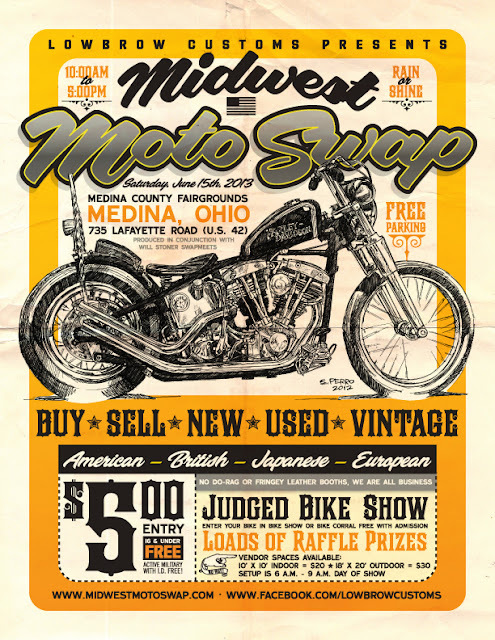 Ride ur Bike Medina Ohio, Uncategorized. Bookmark the permalink. Duane Ballard BF5 Builder Update…The Paint! !